It’s been more than two days since the Chinese government’s deadline to introduce real-name regulations for microblogs passed, but users of the country’s main service — Sina Weibo — are continuing on with no initial sign of restriction. The ruling, which was due to come into force on March 16, requires all microblog users to verify their accounts using official ID, as the government cracks down on inaccurate rumor and false information on the service. However, at this stage, users that have not verified their accounts are still able to publish to the service as usual, and there is plenty of confusion as to why and how. As Charles Custer at Tech In Asia reports, Sina is allowing large numbers of accounts that are not registered to continue to publish to the service, that’s despite some of them deliberately chosing not to verify. Custer admits that he avoided verifying his account, and yet he says that he received a message from Sina confirming that his account had been authenticated, thus allowing him to post. 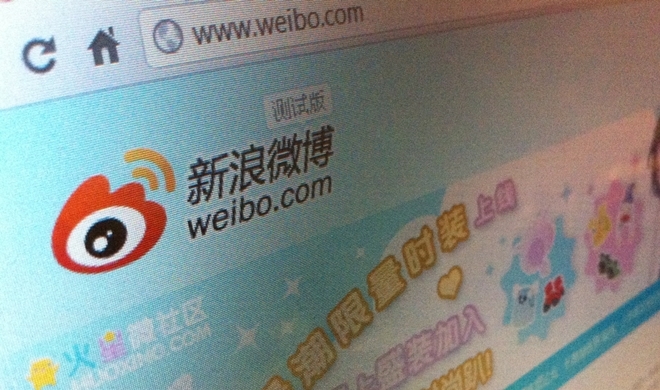 His story is echoed by a number of other Sina Weibo users. However, as it turns out, Custer hasn’t been verified. His Sina Weibo profile is missing a crucial ‘V’ sign (for verification) but he is still able to post all the same. Custer is adamant that he never synced his phone with his Sina Weibo account (and no connection is shown in his account), which suggests that there is either a glitch or Sina might be allowing those using mobile apps to post. Real-name rules were introduced to cut down on the number of fake, or ‘zombie’, accounts that had begun to litter the system. At its most basic purpose, the system is about identifying which users are real; despite the other uses that the government may find for the data. With initial real-name signup rates sluggish, Sina began allowing users to verify via their mobile number, as Tech In Asia found, using the fact that ID is required to open a new mobile number as its identification. It could be possible that it has taken this further and given mobile app users — who must provide their number to download the app — freedom to post without being verified. At this stage it is certainly unclear and searches on Twitter (a common sounding board for Weibo frustrations) reveal no mention of anyone being unable to post to Weibo. While not all Weibo users ‘go meta’ and head to Twitter with concerns, you’d expect to see at least a comment or two there if the shut down had affected 40 percent of Sina Weibo’s 300 million users, as Sina had suggested it would. I’ve been unable to authenticate my account, as the form doesn’t allow the submission of international phone numbers (which is part of the required data). Although my account is unverified, I too have been able to post to Sina Weibo without any restriction. My account — which is set as based in Thailand — did receive a reminder to register for real-name rules by linking to my phone number — via the dedicated page — so Sina is aware that I’m not verified but still allowing me full publishing rights. That may simply be because I am outside of China, but it could be down to the app, which I use on my phone. Interestingly, however, I was able to create a new account today and begin posting to the service without submitting any identification details at all. Accounts created within the last few months should require ID to get started, but this new account has none, nor is it registered to a mobile phone or using an app. The new account is still able to post when its account location is set to China too, indicating the possibility of workaround options. There’s plenty of confusion but, what is for sure right now, a large number of unverified users are still able to post to Sina Weibo two days after the deadline. It is not entirely clear how or why that is, but Sina has not verified these users which could mean that, in time, their postings rights may yet be restricted. It is also unclear whether overseas users will need to comply with the rules and, if not, whether registering an account outside of China will allow Sina Weibo users in China to bypass any restrictions. Right now there are more questions than answers but we’ll keep an eye on developments. The future of China’s microblogging community is unchanged for now, but it remains in the balance in the long term.